It's 1997, and successful businessman Harmond Wilks is poised to become Pittsburgh's first African-American mayor. Wilks also has a surefire plan to revitalize the decrepit Hill District of his youth, but standing in his way is a ramshackle old house and the determined old man who claims to own it. Both moving and funny, this final chapter – depicting a fragile community wrestling with the temptations and risks of paving over its heritage – shows that while the challenges change, the struggle endures. 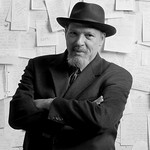 The late August Wilson is the celebrated author of the landmark ten-play cycle that chronicles the African-American experience through the 20th century. The Huntington has produced seven previous Wilson plays, several of which went on to national acclaim and numerous awards. Director Kenny Leon also directed August Wilson's Gem of the Ocean with Phylicia Rashad at the Huntington and on Broadway, and the 2004 Broadway production of A Raisin in the Sun. 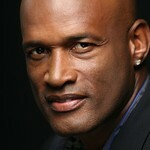 Kenny Leon directed the Huntington productions of August Wilson's Gem of the Ocean and Radio Golf.